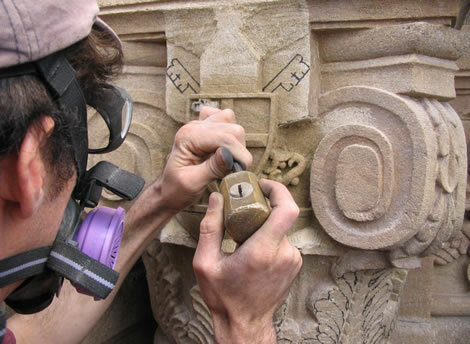 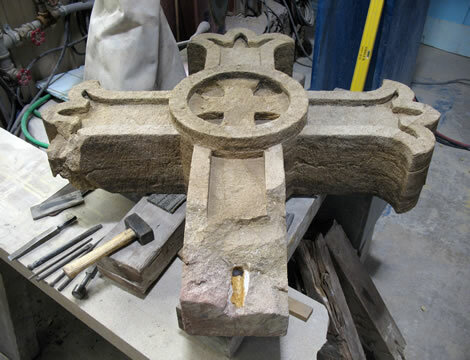 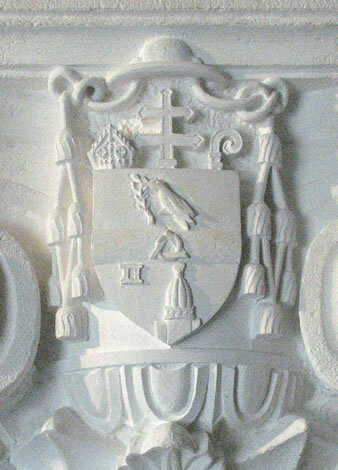 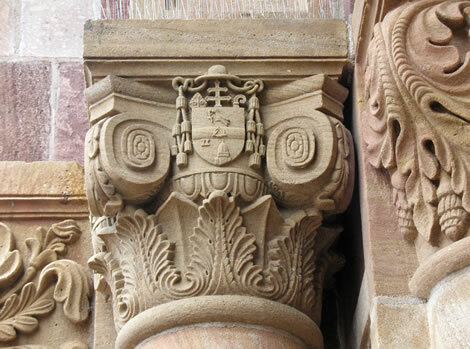 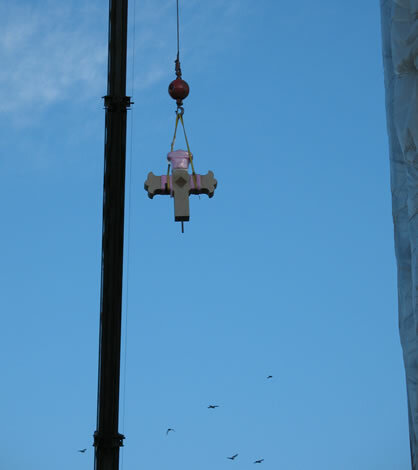 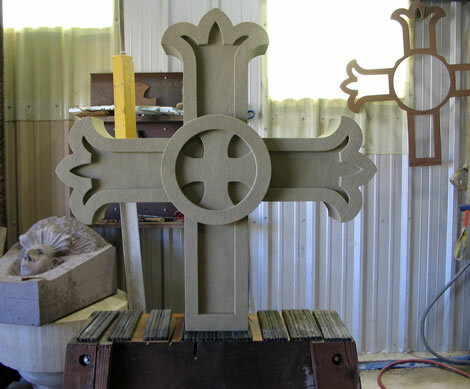 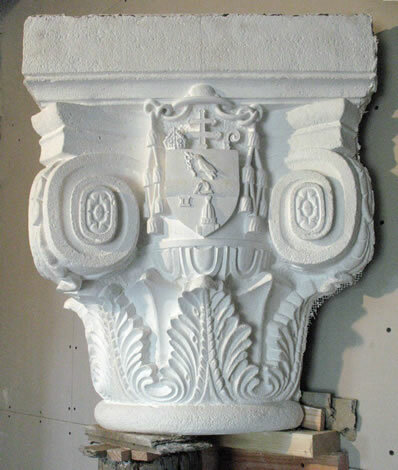 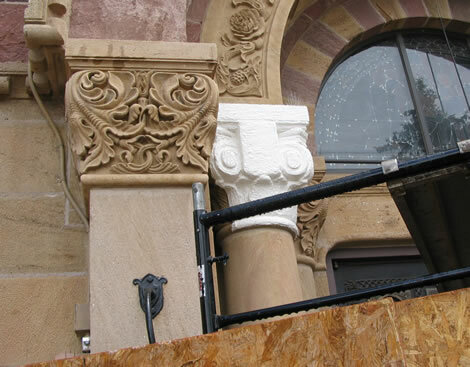 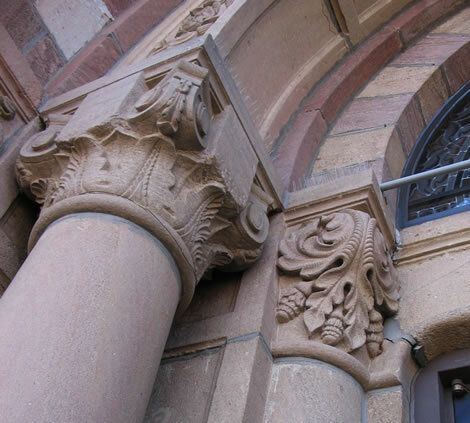 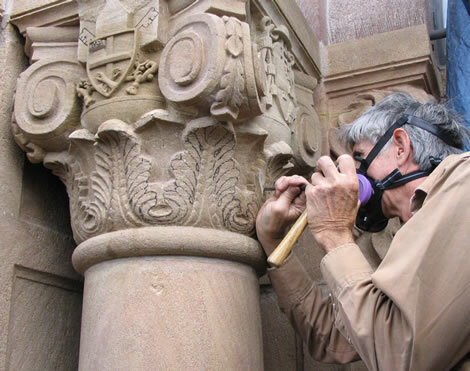 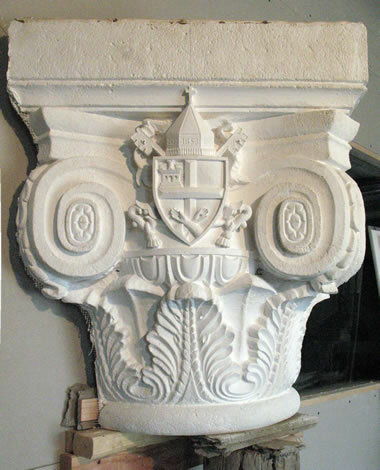 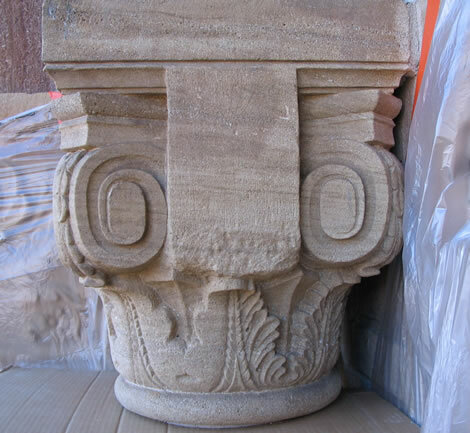 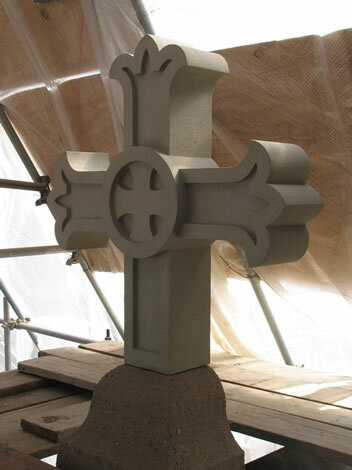 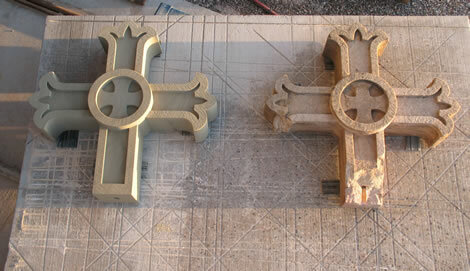 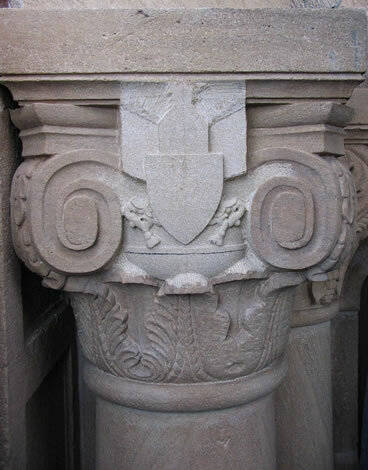 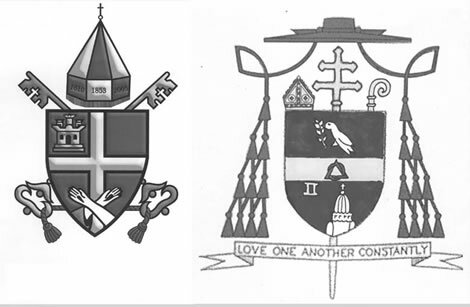 We created the new cross for the apex of the Cathedral, and carved the new coats of arms into the Corinthian Capital to the left of the entryway. 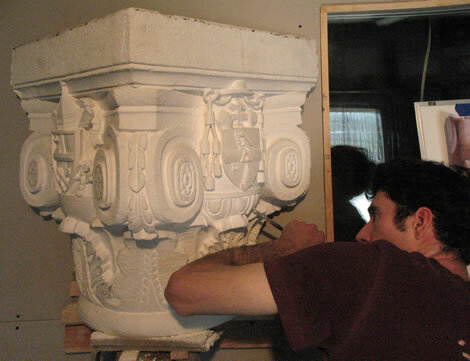 For a more complete description of this project, click here. 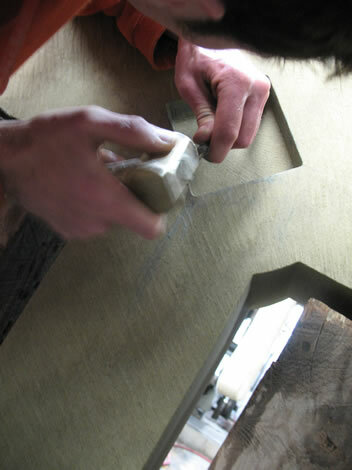 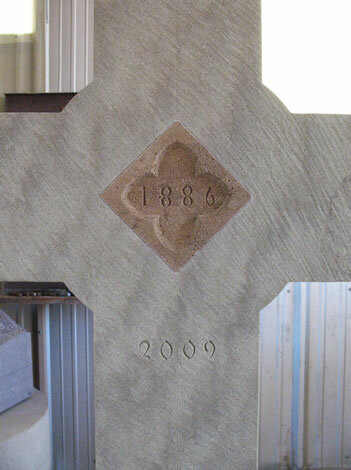 The date of the new cross, 2009, was carved below. 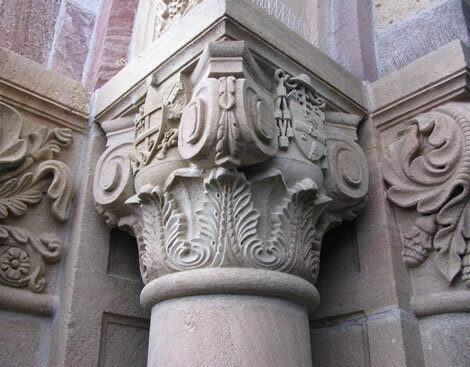 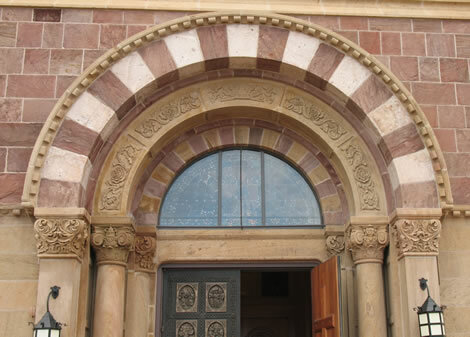 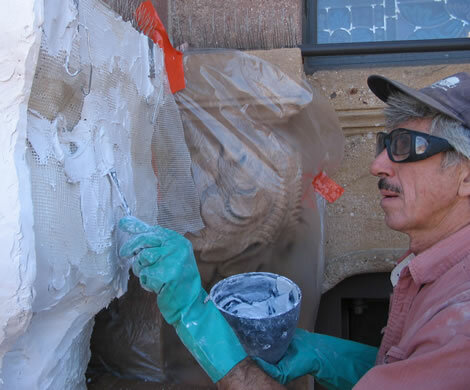 The builders and carvers used a variety of local sandstones of different hues and textures.